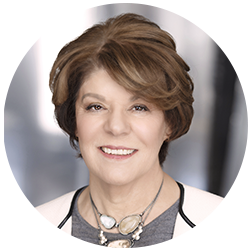 Estela Bensimon, is a professor of higher education at the USC Rossier School of Education and Director of the Center for Urban Education, which she founded in 1999. With a singular focus on increasing equity in higher education outcomes for students of color, she developed the Equity Scorecard—a process for using inquiry to drive changes in institutional practice and culture. Since its founding, CUE has worked with thousands of college professionals—from presidents to faculty to academic counselors, helping them take steps in their daily work to reverse the impact of the historical and structural disadvantages that prevent many students of color from excelling in higher education. The innovative Equity Scorecard process takes a strengths-based approach starting from the premise that faculty and administrators are committed to doing “the good.” CUE builds upon this premise by developing tools and processes that empower these professionals as “researchers” into their own practices, with the ultimate goal of not just marginal changes in policy or practice, but shifts on those campuses towards cultures of inclusion and broad ownership over racial equity. Professor Bensimon has received grants from the Ford Foundation, Bill and Melinda Gates Foundation, Lumina Foundation, Teagle Foundation, and The William and Flora Hewlett Foundation. Dr. Bensimon has published extensively about equity, organizational learning, practitioner inquiry and change; and her articles have appeared in journals such as the Review of Higher Education, Journal of Higher Education, Liberal Education, and Harvard Educational Review. Her most recent books include Critical Approaches to the Study of Higher Education (co-edited with Ana Martinez-Aleman and Brian Pusser) and recipient of AERA Division J Outstanding Publication, Engaging the Race Question: Accountability and Equity in US Higher Education (with Alicia C. Dowd), Confronting Equity Issues on Campus: Implementing the Equity Scorecard in Theory and Practice (co-edited with Lindsey Malcom). Dr. Bensimon has held the highest leadership positions in the Association for the Study of Higher Education (President, 2005-2006) and in the American Education Research Association, Division on Postsecondary Education (Vice-President, 1992-1994). She has served on the boards of the American Association for Higher Education and the Association of American Colleges and Universities. She was the Chair of AERA’s Social Justice and Action Committee. In 2011, she was inducted as an AERA Fellow in recognition of excellence in research and in 2013 she received the Association for the Study of Higher Education Research Achievement Award. She is a recipient of the USC Mellon Mentoring Award for faculty and Distinguished Service Award from the Association for the Study of Higher Education. In 2017, she was elected to the National Academy of Education and also received the Social Justice in Education Award from the American Education Research Association.